We have a spider hunt WINNER! 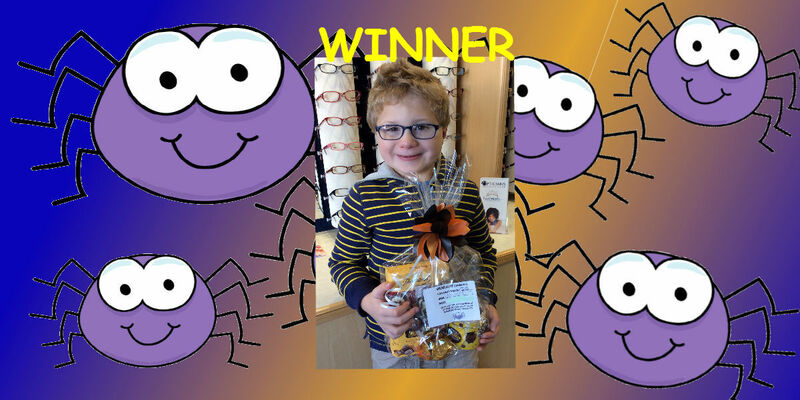 Well done William for guessing the correct answer of 20 spiders in our Halloween window. William was really excited to pick up his prize today. Practice manager, Victoria, managed to grab a picture, which we know you will all want to see. 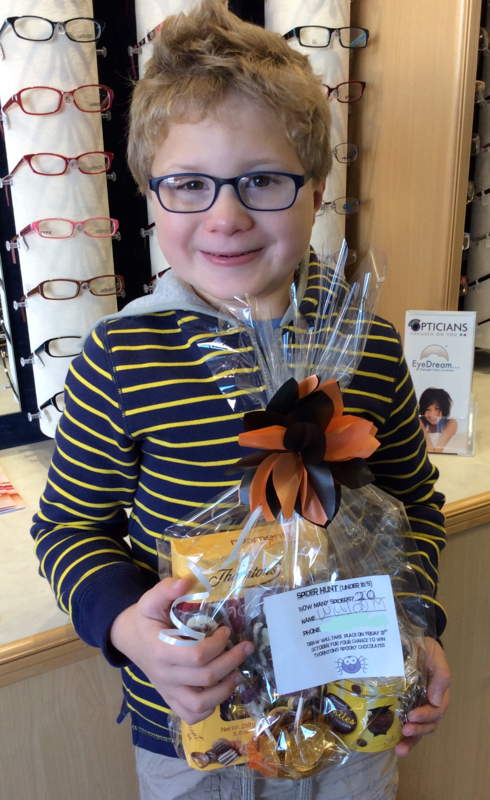 We think Williams’ spider counting skills were helped by his brand new glasses from Taylor’s opticians of Frodsham. We know how important it is for you and your family to have the best possible vision, that’s why we’re always here to offer advice on the health of your eyes and try and make eyes a bit more fun for your children with our window competitions. Next time you’re in Frodsham, look out for our next window competition. Need a sight test, contact lenses or just want to update your spectacles?